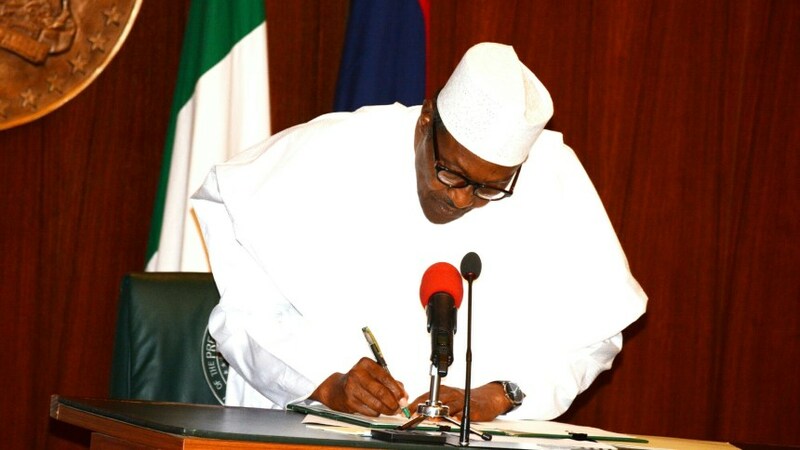 See The Full List of Companies, Roads Companies, To Be Constructed Under Buhari’s Executive Order 7 - AutoReportNG "AutoReportNG-The No 1 Car Blog In Nigeria That You Can Trust - AutoReportNG"
Six companies will construct 19 federal roads covering 794.4km under the new Executive Order 007 signed by President Muhammadu Buhari on Friday. The Minister of Finance, Zainab Ahmed, listed the roads at the signing ceremony inside the council chamber of State House Presidential Villa. She said the Executive Order #7 of 2019, titled Road Infrastructure Development and Refurbishment Investment Tax Credit Scheme, is the outcome of efforts to think outside of the box and deploy new techniques to develop critical roads infrastructure in the country. She said the scheme will incentivise private sector investment in Nigerian roads across key economic corridors and industrial clusters, relieving the government of the burden of funding the initial outlays for these investments. “Participating investors will use tax credits to reduce corporate taxes payable to government until they recoup the value of their investments in roads and bridges. “Essentially, this scheme will utilise tax expenditures, refundable by way of tax credits, to finance the construction of critical roads infrastructure through a Public Private Partnership mechanism,” she said. The minister also said Mr Buhari is empowered by Sections 5 and 315 of the 1999 Constitution to make Executive Orders to alter, repeal or otherwise modify existing laws. She said relevant provisions of the Companies Income Tax Act also empower him to authorise the exemption from corporate taxation, for certain companies or groups of companies, by way of the issuance of tax credits. Mrs Ahmed said the new scheme is based on the demand for road projects by companies and other corporate sponsors, who are willing to deploy their own working capital and financial resources to fund road projects located in the major economic corridors of the country where they have significant businesses and operations. f) China Road and Bridge Corporation Nigeria Limited. s) Rehabilitation of Benin City – Asaba Road in Edo State”. The finance minister said the government is still soliciting for more serious proposals from interested Investors, state governments and others who may wish to take advantage of the scheme to partner with the federal government in investing in roads. “Our intention is for there to be at least one significant eligible road project underway in every state of the federation within the first year of the operation of this scheme. “In terms of process and governance, prospective road projects are to be submitted to the government via the scheme’s management committee. “This management committee, which I chair, has the Minister of Power, Works and Housing as its Deputy Chairman, and the Permanent Secretary of the Federal Ministry of Finance as its Secretary. “The other members of the management committee are drawn from a number of relevant federal Ministries, Departments and Agencies (‘MDAs’),” she said. m) The Office of the Chief of Staff to the President. Mrs Ahmed said after carefully considering submissions by investors, the management committee will forward the proposals, through the chairman of the committee, to the president. She said Mr. Buhari will, based on the new Executive Order, select eligible road projects which will be published in an official gazette.